We are the leading brand in the market to provide our valuable customers the best range of Single Wall Suport Shower Enclosures. 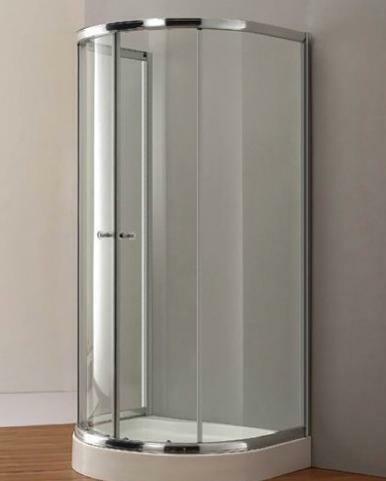 The provided shower enclosures are precisely manufactured by our well taught professionals using the best quality material and leading technology. Established in the year 1961, at Pune, we, AK Danum & Co., are listed as the well-renowned manufacturer, wholesaler and supplier of a broad collection of outstanding quality Shower Enclosures and Partitions, Bathroom Fittings, Bath Accessories, Magnifying Mirrors, Bathroom Mirror Cabinets, Hands Free Sensor Faucets, Sanitary Ware, Mirrors and Defogging Mirror Pads, Shower Drains & Floor Drains and Glass Blocks. The offered products are designed by our professionals using the best grade raw material and leading technology in adherence with the preset quality standards and industry norms.